There’s a good chance you’ve heard rumors to the effect that I host two podcasts for nonprofits. I can confirm the veracity of that hearsay. Tony Martignetti Nonprofit Radio has over 9,000 listeners each week. Thanks to a burst of activity that more than doubled the number of iTunes ratings because of my 500 Stars Campaign, Nonprofit Radio trended in two categories last week. Please give the show a 1 to 5 star rating in iTunes. It’s simple. Start here, then click “View” in iTunes. My monthly podcast for The Chronicle of Philanthropy, Fundraising Fundamentals has about 3,000 listeners. It’s a short, 10-minute format, compared to the hour-long Nonprofit Radio. 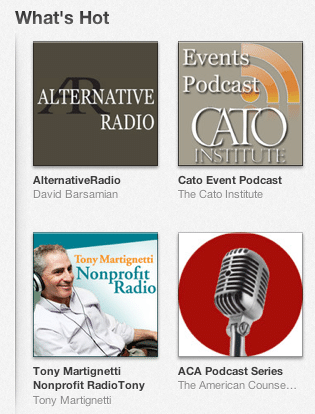 Listeners, I’m very grateful for your support of my podcasts. I want them to bring you value and I want you to tell me if they don’t. Thank you very much for listening. Future listeners: come into the fold. Join the flock. It’s only a matter of time. You might as well start now. 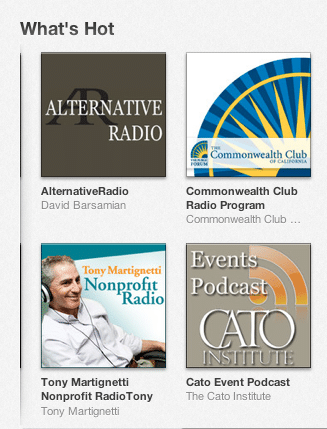 The goal of the 500 Star Campaign is 100 ratings for Tony Martignetti Nonprofit Radio on iTunes. Why have 100 ratings? This will give the show greater visibility in iTunes, exposing it to more potential listeners so more nonprofits benefit as I pick my guests’ brains. Please watch the video and help the Campaign by rating the show in iTunes.